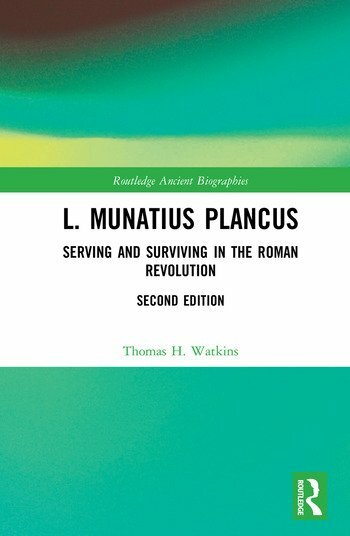 This volume examines the life and career of L. Munatius Plancus, and through him, explores the tumultuous final years of the Roman Republic. Plancus had very active and lengthy political career, from his initial appearance on the staff of Julius Caesar in Gaul in 54BC at least through the censorship of 22BC. During this time, he was in close contact for over 30 years with all the major figures during a period of tremendous political and social upheaval in Rome. He maneuvered carefully and cautiously, changing affiliation from boyhood ties to Cicero, to Caesar, to Antony and Cleopatra, and finally to Octavian - it was Plancus himself who proposed the motion whereby the Senate conferred the name "Augustus" on the new ruler of Rome. More than just a biography of this fascinating figure, this volume also offers insight into the politics of this complex period. Thomas H. Watkins is Emeritus Professor at Western Illinois University, USA, and after his retirement taught Roman history at Virginia Tech for 10 years.